An unforgettable scent to induce a sense of euphoria. A velvety floral-fruity fragrance, Euphoria is a luminous celebration of the sharpness of pomegranate and apple, the creaminess of lotus and orchid and the sensuality of woods and amber. A beautiful fragrance to seduce and bewitch. Top: Pomegranate, Japanese Apple, Green Leaves. Heart: Rose Hip, Lotus, Black Orchid. Base: Red Woods, Black Violet, Cream Accord, Liquid Amber. 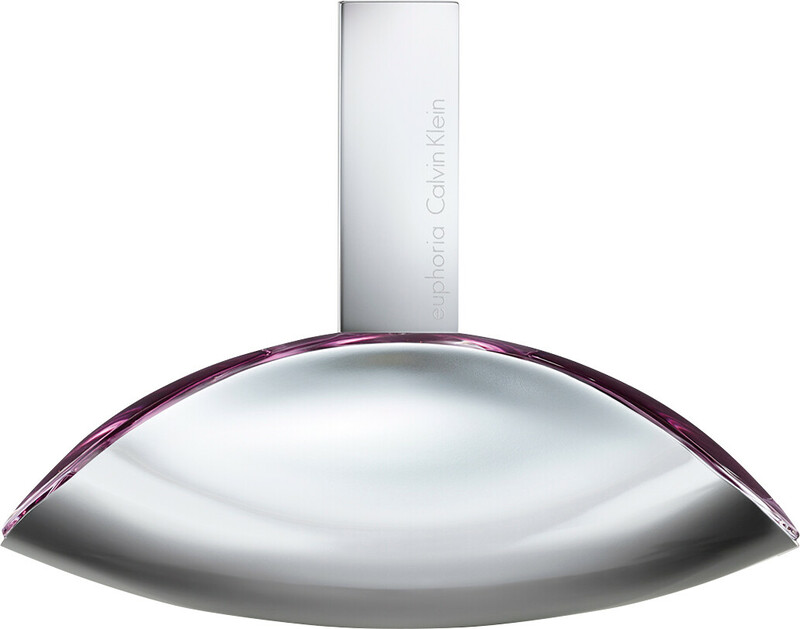 *FREE Calvin Klein Euphoria Tote Bag when you purchase the Calvin Klein Euphoria Eau de Parfum Spray fragrance. ** *One FREE Calvin Klein Euphoria Tote Bag per order. **While stocks last. Offer Excludes Gift Sets. This product will be added to your basket automatically if your order qualifies for a free gift. Calvin Klein Euphoria Eau de Parfum Spray is rated 4.7 out of 5 by 11. Rated 5 out of 5 by Magdalena33 from Original product Product arrived in the original packaging, 2 days after I placed the order - really good service, thank you! 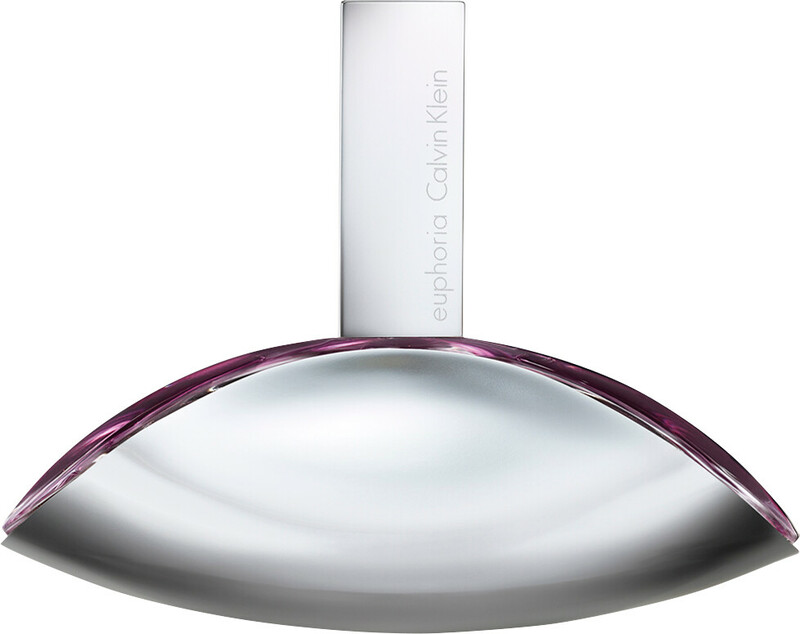 Rated 4 out of 5 by Inventress from Calvin Klein Euphoria Eau de Parfum Euphoria is one of the most popular scents on the market. This is surprising, because although the fragrance can be seen as a fruity floral, it differs leagues from the average in this category. This scent is very strong! Its potency is such that even a tiny spritz gives a dense, heady scent. Unfortunately, I had an initial association with a strong-smelling old lady for its cloying quality. Euphoria smells interesting, but with what populates the general market it's almost astonishing to find it successful. I'm glad for it, as it is a quality product, even though personally I find it too heady. The scent is a woody floral aroma upon drydown - an allure perhaps worth waiting for through the almost sickening floral sweetness. Dry pomegranate introduces the fragrance with a sweet, exotic note, which I sense is ruined and quickly by the overpowering heady orchid that tries to usurp the fruit. The resulting concoction can be nauseating. On the verge of the drydown, once pomegranate had aired out and the orchid softened, mahogany and amber show through. At this stage, Euphoria finally becomes wearable. It is definitely a winter and autumn fragrance or for a night event, lasting 10 hours and leaving a trail withing arm's length of the user. Calvin Klein's Euphoria is a complicated, nuanced, quality fragrance that tells a grueling story for too long before coming to the happy and pleasant-smelling end. The degree of enjoyment of its narrative will greatly influence the perception of the perfume.